Blooms Today is a nationwide flower arrangement and flower delivery service that has been in the business for more than 17 years. The company has served millions of customers all over the United States. The business also deals in gourmet treats, fruits, plants and gifts for all occasions. 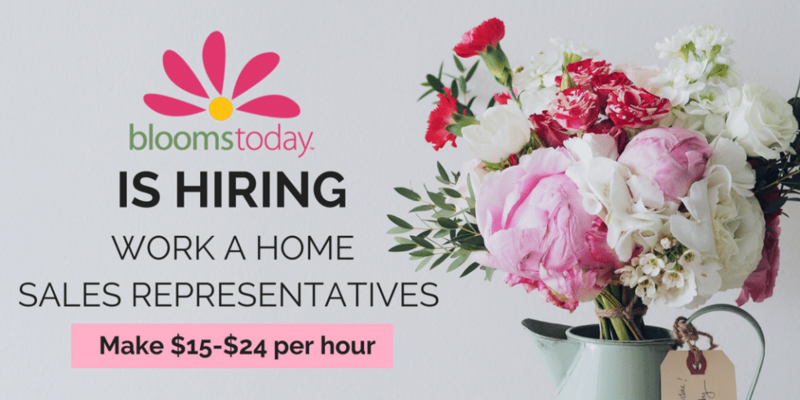 Blooms Today is looking for an Independent Sales Representative based in any state except Florida, California, and Texas. Big shout out to Rat Race Rebellion for finding this job lead! Comprehensive sales support system to ensure personal growth and high performance. Do you know of any open positions in an events/party planning related field?